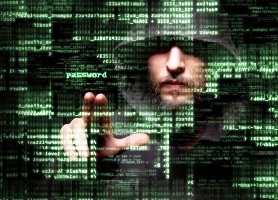 Home » Industry » Cyber Security » Hiring a Hacker: What is Involved? Hiring a Hacker: What is Involved? In recent years the perception of the role of hackers is completely changed, in the past these high-skilled professionals were viewed as dangerous threats that needed to be kept at arm’s length, meanwhile today they are highly sought from private companies and intelligence agencies. Hacking services today are required not only by private companies and not only for legal purposes, very often individuals ask hackers to strike a competitor or to take over a Gmail or Facebook for espionage. Other common commodities in the hacking underground are the hacking courses that goes for $20, we have discussed about it months ago when I have analyzed with you a report published by TrendMicro on the Brazilian underground market. The Brazilian underground also offers a bank fraud courses for aspiring cyber-criminals, the courses are very articulated and propose detailed information for beginners to the criminal activities. The courses start presenting the fraud workflow and tools necessary to arrange a cyber fraud. Some coursed are arranged in modules that propose interesting information on the illegal practices to cybercriminal wannabes that can acquire also interactive guides and practical exercises (e.g., simulating attacks). A 10-module course for example is offered for US$468, the operators also offer updates and a Skype contact service. Hackers could be hired also to compromise a website, deface it or to steal data from its database. Most hackers for hire offer their services on different forums in the Deep Web, or Reddit-like forums, the common denominator is their anonymity and the possibility to use virtual currencies for payments.